Answered: Can I watch Netflix on a cruise? You would see families on the pool deck… people chowing down in the main dining room… and kids building sandcastles on the beach. What you would never see is people just relaxing in the cabin, watching TV. And while we feel a little guilty to admit it, one of favorite things to do on a cruise is put our feet up and watch the tube after a long day of being out and about in the sun. It’s relaxing and a perfect way to unwind. Like many people, Netflix has also become a staple of our watching. We love that we can take it anywhere on our laptop or iPad — watching on the road, in bed, or just sitting on the couch. Of course, where the love of cruising and the love of Netflix intersect, there is an important question. Can you watch Netflix on a cruise? Update: The article below was written before Netflix announced the ability to download shows for offline viewing. This solution is perfect for cruising where there is usually limited online access and means now you can watch Netflix on any cruise. Unfortunately, for most cruisers the answer is no. 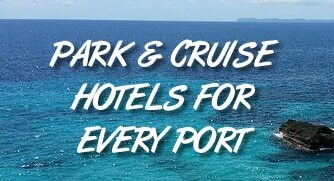 However, in some select cases you can if you are lucky enough to be on Royal Caribbean and willing to pay for onboard internet. For years internet wi-fi on cruise ships has lagged. Granted, it is difficult to provide internet access while in the middle of an ocean, but it’s not impossible. That’s why guests have traditionally been saddled with slow wireless speeds and plans that force them to pay for access by the minute — like America Online did back in the 1990s. As you can guess, slow internet means no streaming video services like Netflix or Hulu. Cruise lines are starting to get their act together. For example, Royal Caribbean has introduced its “Voom” wireless service, claiming to be the fastest at sea — and enough to stream shows. Carnival’s “Premium” plan says it can support Skype calling and offers the ship’s “fastest possible connection”. In other words, you can watch Netflix on Royal Caribbean. If you want to watch, you’ll need to sign up for the highest tier of Voom service, called Surf + Stream. According to reports, prices start at $17.99 per day for this option. There is one hangup to watching Netflix on the ship that we aren’t sure how will be resolved. Your account will be linked to the place where you live. So if you are in the United States, you will use the U.S. version of the program, which has access to the content available in America. “If you’re traveling and want to watch Netflix on the go, all you need is a stable Wi-Fi connection for your computer or mobile/tablet devices. If we notice you’re using Netflix outside of the country where you originally started your account, we will notify you directly in the app of any differences you might experience while in that location. Selection of movies TV shows: Your choices for streaming (including audio/subtitle options) will vary from country to country. Access to features: My List, star ratings and reviews may not be available. The bottom line? Most cruise lines won’t support Netflix at this time. The exception is Royal Caribbean, as long as you sign up for its Surf + Stream package, which costs about $18 per day. Even then you might have a slightly different experience depending on the ship’s location.